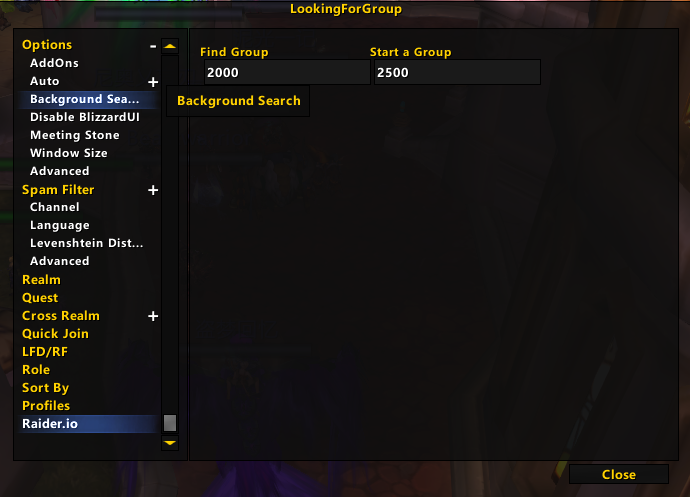 This sub addon is to support displaying raider.io score in LookingForGroup addon tooltips. AND FILTER PEOPLE BASED ON THEIR RAIDER.IO SCORE OR DUNGEON EXPERIENCE. You can block groups with low raider.io score leaders or block applicants with low raider.io score in LFG dungeon groups. Have you left my discord?